Indian Celebrities, especially from the Bollywood, are more talked about their amazing weight loss success stories than their performance in the movies. It is mainly because of their sheer dedication and passion towards looking fit and beautiful for their fans. As we already know, losing weight is not that tough, but requires utmost dedication and patience without which you won’t see any weight reduction. 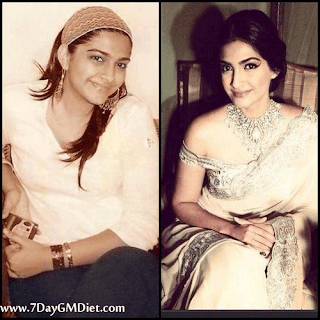 So, in order for you to get some inspiration, here are a few Bollywood celebrities who went from fat to fab and stunned everyone with their amazing weight loss transformation stories. 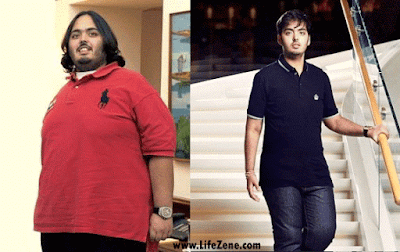 The first in the list is Mr.Anant Ambani, the son of Billionaire Mukesh Ambani. Of-course, he is not a Bollywood actor and just a celebrity. But the reason, I’ve included him in this list and at the first place is because of his mind-blowing transformation. Anant lost nearly 108 KGs of weight without undergoing any weight reduction surgery or medicines. All he did was to follow a strict low carb diet along with customized workouts to suit his bodyweight. He used to spend around 5-6 hours every day in exercising, which includes cardio exercises, strength training, yoga and 21 km walk. The second in the list is the most popular Bollywood singer ‘Adnan Sami, who is known for his soothing voice and a heavyweight personality. Within just 11 month span, he lost close to 130 kilos. There are reports that he underwent bariatric surgery, but it is not true. He followed a very strict low carb high protein diet and didn’t miss a single day of workout. In order to dedicate himself to losing all that excess weight, he even stayed away from his career for nearly an year. 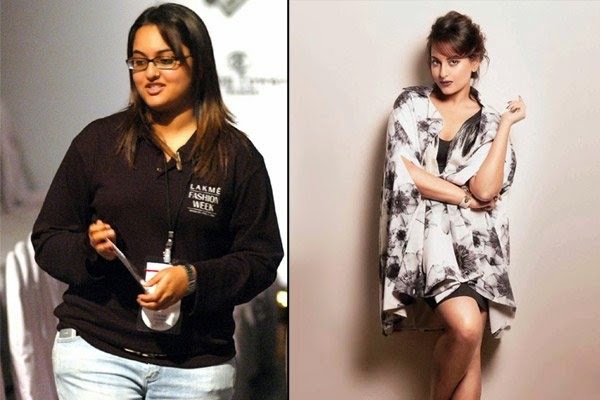 Before entering the industry, Sonakshi was a chubby girl and she weighed around 90 kgs. By the time of her debut in the movie ‘Dabangg’, she has lost 30 kgs, which is very impressive. She did it all by following a high protein, low carb diet and worked out for 5 days in a week with 2 days rest to recover. Bikram Yoga is her favorite exercise to lose more weight. Currently, she was 10 kgs lighter than her debut movie. Parineeti had no intentions to become an actor like her sister Priyanka Chopra and hence she didn’t take much care about her increasing weight and chubby look. 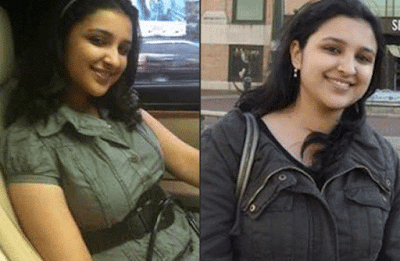 But, she lost oodles of weight for her debut movie ‘Ishaqzaade’. However, she is still not in a good shape required for an actress in Bollywood. So, she took a break from movies and learnt Kalaripayattu (a martial arts form from Kerala) along with a clean diet. She also signed up for a detox program in Austria, which helped her achieve a slim figure in less timespan. 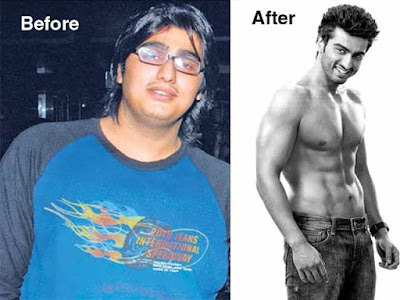 The son of Boney Kapoor, Arjun weighed around 140 kgs before he entered the movie industry. It took around 4 years to lose 50 kgs of weight for him. It took so long only because he never encouraged crash diets and strictly followed a healthy lifestyle. 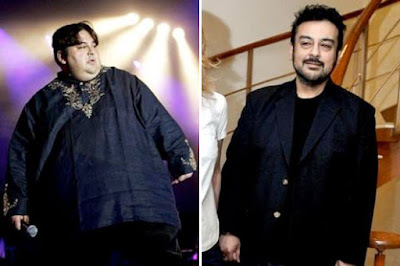 He took assistance from Salman Khan to lose weight. Apart from the diet, he does crossfit every day for 20 minutes that helped him burn those stubborn fat (the last few pounds). For his debut movie ‘Ishaqzaade’, Arjun paired up with Parineeti Chopra. Interestingly, both these actors were fat before making their first debut and got successful together. Read: How Arjun Kapoor Lost 50 Kgs Naturally? Like her cousin ‘Arjun Kapoor’, Sonam too is a plump kid before her debut movie ‘Saawariya’. She lost nearly 30 kgs for her first movie and stunned everyone in the industry (as all knew her as Anil Kapoor’s daughter). She followed a strict low carb and high protein diet which is taken in five smaller meals throughout the day. She doesn’t have any cheat days and munches on banana milkshakes and dry fruits whenever she feels hungry. Her favorite workout is swimming and dancing along with other strength training exercises. 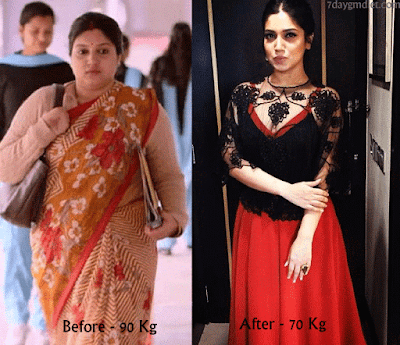 The Dum Laga Ke Haisha actress who entered the industry with an overweight physique has drastically lost 21 kgs in a span of just 4 months without any surgeries. In fact, she put up a lot of weight for her role in the movie and appeared 21 kilos lighter for the promotions and stunned everyone in the industry and her fans. Zareen looked a bit on the heavier side (100 kgs) in her debut movie ‘Veer’ alongside Salman khan and was slammed by the critics despite her acting talent. She then decided to show the critics what she can do and decided to lose weight for her next movie. Zarine Khan lost around 43 kilos for her next movie ‘Kick’ and stunned everyone, including the critics who uttered harsh words on her figure. She credited her toned physique to Yoga and swimming. Read: Here is how Zareen Khan’s diet and workout looks like. Alia looked stunning in her debut movie ‘Student of the Year’. But, do you know that she used to be an obese girl before entering into the movies? 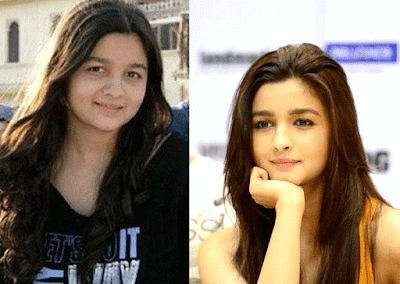 Yes, from being a chubby girl (68 kgs for 5′ 3” height) to becoming the heartrob of the youth, Alia bhatt has put a lot of efforts in losing nearly 20 kgs for her first movie. It is Karan Johar (director of SOTY) who suggested Alia to lose weight in order to get a chance in the movie. Kareena used to look chubby during her career beginning days. She later stunned everyone with a size zero figure in the movie ‘Tashan’. It is her pure dedication that led to drastic weight loss. She followed a very strict diet and gives Yoga the credits for her slim figure. No doubt Aishwarya is one of the most beautiful women in the world. However, she has put on a lot of weight during her pregnancy. However, she stunned everyone with her re-entry movie ‘Ae Dil Hai Mushkil’ by losing those extra pounds. Apart from following a clean and healthy diet, she credits her good genes for her quick weight loss results. She does workouts 2x a week and during the rest of the week, she occupies herself in Yogasanas for weight loss. Read: Here is how Aishwarya Rai lost her baby weight naturally. Not just these few people, there are many more Bollywood celebrities who lost oodles of weight and stunned the fans with their amazing transformation. In the coming days, I’ll be coming up with few more popular Indian celebrity weight loss success stories as their journey will be an inspiration to many who’re trying to lose weight and get fit.